Living the low carb life can be hard at first. 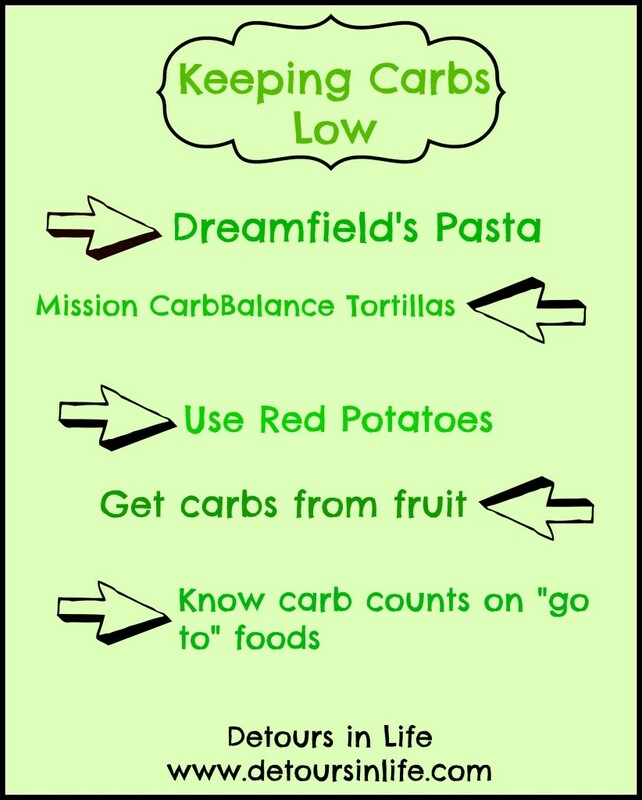 Above are some great tips to keep in mind when you are transitioning to low carb or you need to switch things up a bit and add more variety to your low carb diet. There are many products out there that will allow you to continue enjoying the carb type things you enjoy but without all the carbs. One example is Dreamfield’s Pasta. I have tried all sorts of pasta to try and find one that I would enjoy that tasted like “real” pasta. Nothing ever satisfied me until I found Dreamfield’s. It taste just like normal pasta and can help to keep the carbs low. I have been using it for a few years now and it seems to help a lot. You can also continue to enjoy flour tortillas to make quesadillas, tacos, or wraps by switching to Mission’s CarbBalance tortillas. Finally, you need to try and curb those carb cravings by using Fruit as they are a natural good source of carbs for your body. There are times when I want something like chips so badly but fresh fruit really does help to keep me on track. I also keep a list of carb counts on some go to foods when I absolutely have to satisfy both my craving for carbs and to make sure my body is getting enough carbs. For more information, check out 5 Ways to Keep Carbs Low. I have a great collection of easy Low Carb Meals as well!